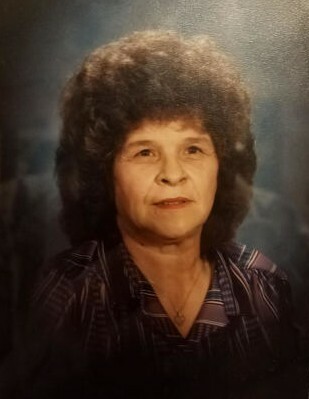 Analine Lou McDonald Ostrander, age 87, of Hays, Kansas passed away Monday, January 28, 2019 at Via Christi Village, Hays. She was born June 14, 1931 in Lenora, Kansas to Kenneth D. and Elizabeth (Eaton) Hollingshead. She married B.F. McDonald on March 1, 1947. He preceded her in death April 15, 1977. She then married Floyd Ostrander on February 22, 1980. He preceded her in death on July 13, 2002. Analine was a Teacher’s Aide working for the Starkey School in Wichita, Kansas. She enjoyed scrapbooking, sewing, crafts and her grandchildren’s activities. She is survived by a son, Kenneth E. McDonald and wife Nancy of Salina, Kansas; a daughter, Martha A. Miller and husband Pete of Hays; a brother, Ivan Hollingshead and wife Sally of Smolan, Kansas; three sisters, Pamela Olsen of Burlingame, Kansas, Sharon Butler and husband George of Manhattan, Kansas and Aryus Reynolds of Richmond, Missouri; 5 grandchildren; 13 great grandchildren as well as two step-daughters a step son and families. She was preceded in death by her parents; a sister, Margaret Hermerson; her brothers, Pete, Kenny, Donnie and Joe Hollingshead. Private family inurnment will take place at the Wichita Park Cemetery in Wichita, Kansas. Arrangements in care of Brock’s-Keithley Funeral Chapel and Crematory 2509 Vine Hays, Kansas 67601.